There are some rather important changes being made to postgraduate funding, including no more age cap limits and more help for part-time learners. Here’s everything you need to know and what it means for you... Higher Age Restriction One of the biggest changes to student funding is the raising of the age cap on postgraduate government loans. Up until now, you could only apply for the £10,000 loan if you were under 30, but this cap has now been extended to apply to anyone under the age of 60 from 2016-17. One of the biggest changes to student funding is the raising of the age cap on postgraduate government loans. Up until now, you could only apply for the £10,000 loan if you were under 30, but this cap has now been extended to apply to anyone under the age of 60 from 2016-17. This could mean more students could now enter postgraduate study. And this wasn’t the only change to government loans. From 2018-19 there will also be new maintenance loans made available for part-time studiers of postgraduate courses. This could help around 150,000 students with their living costs, which will hopefully address the current decline of part time students which universities are experiencing. Up until now, you could only get the government loan if you were studying a taught course. However this is being changed to include research master’s courses, PhDs and STEM subjects from 2017-18. It's not just English students who are going to be eligible for new postgraduate funding. The Welsh government has also announced it’s planning on introducing a postgraduate loan scheme for resident Welsh students from the 2017/18 academic year. It’s likely that this loan will offer up to £10,280 for students who already live in Wales and who want to take a taught or research based postgraduate course that would lead to a Master’s degree. The government doesn’t want to restrict students, so you could apply for funding whether you’re applying for a full-time or part-time course. It’s thought that the confirmed plans for postgraduate loans for Welsh students will be announced once the National Assembly have seen the draft legislation in the Spring. Postgraduate students in Scotland taking taught courses by distance learning are also eligible for tuition fee loans of up £5,500. Students who are taking this type of course on a full-time basis can also be given a £4,500 living cost loan. In addition to this, English students will now be able to have loans to study other places in the UK, and distance learning will be included for the first time. And when it comes to repaying your loan, the repayment rate will be reduced in order to make repaying both undergraduate and postgraduate loans less of a financial nightmare. Professor Madeleine Atkins, HEFCE Chief Executive has commented on these changes and said, "The Government’s Autumn Statement and Spending Review recognises the major contribution that higher education makes to a dynamic economy and society. ‘We welcome the confirmation of new postgraduate fee loans and maintenance loans for part-time students. We look forward to seeing further details of these new schemes and to the consultation on the proposed new arrangements for health students." However, Professor Dave Phoenix, Chair of million+ and Vice-Chancellor at London South Bank University, said: "I welcome the Chancellor’s commitment to extend maintenance loans to part-time students and the removal of the age-limit of 30 on postgraduate loans although the requirement that students will have to study at 50% intensity will not help many of the part-time students who want to study at postgraduate level. In other respects this Spending Review is a mixed bag for both universities and students." However, it’s not all been good news in the Spending Review, especially for undergraduates or very recent graduates. Controversial plans in the Review included freezes on repayment thresholds of student loans, which will affect any students who started courses from 2012 onwards. This could lead to graduates paying back around £3,000 extra than before. 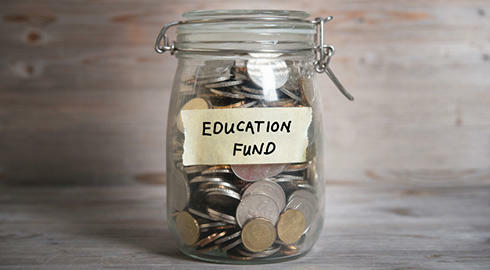 The Review also announced plans to reduce student opportunity funding for disadvantaged and disabled learners, which has also been heavily criticised.